Flashing back to 2013 I wrote: "My hope once a week or so is to share with you a little Caymanian vocabulary. 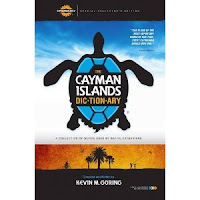 Many of my readers are no doubt ex-pats who reside here in the Beloved Isle Cayman - and while each of us are required to speak English when you arrive on island, there is no such requirement to learn words & phrases unique to Cayman...now that the pressure's off, there is no better time like the present." Well, it's 2015. And I only accomplished the Letter A and the Letter B.Time to carry on. 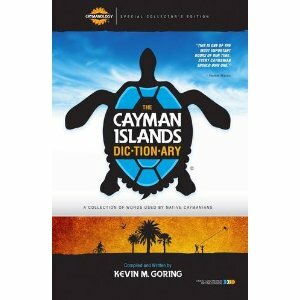 Straight outta the Cayman Islands Dictionary - some favorite Caymanian terms from the Letter C.
Cake-up (kayke up) Noun. 1. Excessive Make-up. 2. Make-up which appears to have been applied using a spray gun and trowel. e.g. " Errytime I see dah girl, her face always be cake up even when she in da gym." >> This isn't even regionally accurate, it's a universally accurate term to describe the phenomenon of beauty product overuse. >> Frankly, I don't care when people where too much make-up. The only reason I have a beard is to hide my face so I don't have to "cake-up" myself! Checkin' (chek in) Verb. 1. The second stage in a four-part structure of a relationship, which involves: (1) talkin'; (2) checkin'; (3) dealin' ; (4) goin'. 2. The season of an uncommitted relationship. 3. The preliminary stage of a young relationship. >> I applaud any kind of dating system that gets us to the DTR. Defining the relationship is spelled out very clearly and everyone knows where they stand. Cuzzy (cuz-eh). Noun. 1. Friend. 2. Brethren. 3. Cousin. 4. Can be used for an old friend, new acquaintance, or just for someone whose name you've forgotten. eg., " Yeah, cuzzy, I gah check yah back bout goin' boatin' diss weekend. " >> Once our church extended past the 100 person threshold, retaining every person's name has proved exceedingly difficult and the worst solution is the "Hey you," which was certainly invented at a sales conference based out of a Holiday Inn by a guy with a bluetooth earpiece. >> "Cuzzy" is kind of affectionate. I wouldn't even care if you forgot my name and called me this because it would mean I'm somewhere in the range of a beloved stuff animal. I'd take that! Cyar (kyarr). Verb. 1. to carry. 2. to transport. >> This word has two bonuses: (1) Taking two syllables and reducing it to one. I'm always in favor of word efficiency. ; 2. Sound pirate-y. "Cyar it me car!" Try dropping one of these into a conversation this week. I look forward to calling you Cuzzy.